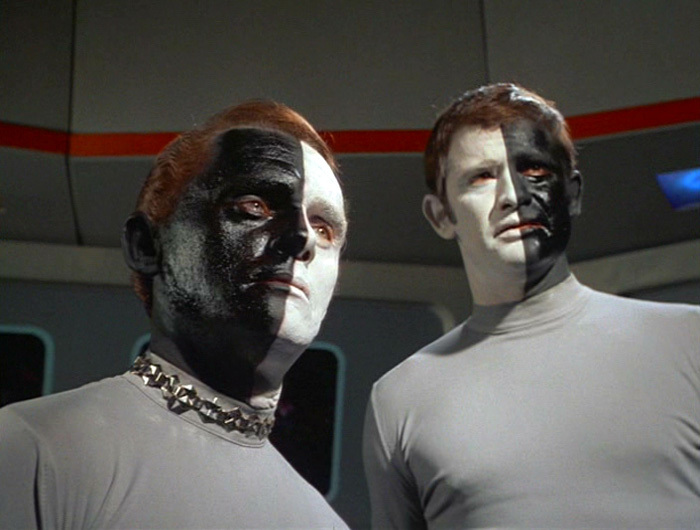 In one episode of the Star Trek television series (the original series; not the later spinoffs) entitled “Let that Be Your Last Battlefield,” two aliens board the Enterprise. One alien is white on the left side of his face and black on the other. The second alien is white on the right side of his face and black on the other. Their coloring is the only difference between them, but that is enough to make them bitter enemies. Their home planet has been devastated by the war between the two groups. They still refuse to call a truce even when they learn that they are the only survivors of their race. Everyone is included in God’s kingdom. How do you include everyone? What ways do you exclude others?